This is a massive book. And it's thick too, 448 pages. It's awe-inspiring really, to see Ralph Steadman's work printed this huge, to be able take it all the details, marvel at the ink lines and splatter. I'm guessing the original art would have been even bigger because of the amount of detail he puts into his art. 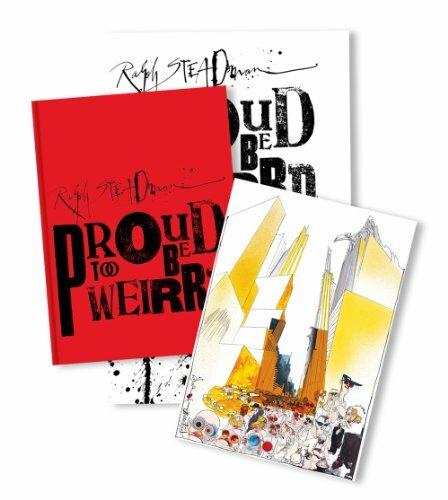 This book collects Ralph Steadman's editorial and political drawings. He has many books to his name, and unfortunately I don't have those to determine whether those artworks are in this book as well. Ralph Steadman's ideas are weird, creatively weird. Or is it weirrd? The accompanying text are his first person view on politics, humour and basically just anything that appears randomly in his head. Even the text plays with typography with varying font sizes and typefaces. The art is incredible, characterised by very textural effects. There's the airbrushed ink, lines with varying strokes, ink splashes and splatter, collages of photos, using different paints and materials. It's chaotic at times, but it's beautiful orchestrated chaos. The style is uniquely Ralph Steadman. This book would be the next best thing compared to standing beside Ralph Steadman's canvas. In addition to the standard edition, there's also a limited signed and numbered edition that comes with an exclusive print. It's three times the price though. 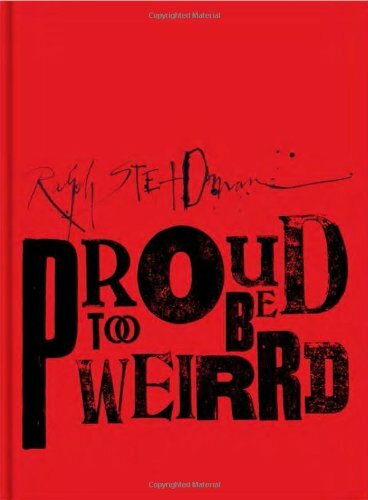 Highly recommended to Ralph Steadman fans.